Mark Archer Aka DJ Nex - The EPs. Vinyl LP. Bleep. 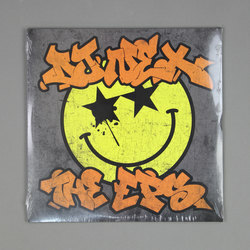 Back in the early 90s, Mark Archer released two EPs under the name DJ Nex. 1992’s The Nex and 1993’s Poundstretcher are the sort of giddy rave fare that is very much back in vogue these days, so it makes good sense that these two rare releases should be given the reissue treatment via Music Mondays (Uncle Dugs, Jumpin’ Jack Frost). However, the ace up the sleeve here is the audio quality. Whereas the original Poundstretcher pressings were cut quietly in order to fit eight tracks onto one piece of wax, The EPs spreads these twelve tunes out across three vinyl. As a result, this boisterous selection comes louder and rougher than ever before.